Capitalize on new opportunities across your organization when you combine people, data and business processes with TEKOA. Take advantage of the cloud's agility and strength by leveraging enterprise technology for your business. Open new relationships with Customers and build automated interactions that increase revenue. Help collaboration and provide information for improved business decision making. Automate and streamline business processes and mobilize your workforce. Contact Management Software. Centralize the management of all the companies and people you do business with in one system. Tekoa Software Technical Support Services. Run your entire business with one software solution. TEKOA is software for Today's Enterprise. Find your niche in the business application market. 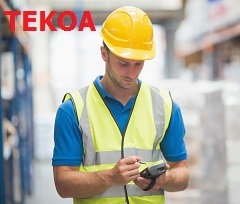 Work with a team of developers to integrate your business software solution with TEKOA ERP. Provide solutions tailored to specific industries that seamlessly integrate with the application that runs the rest of their business. Automatically sync customer data between outside sources or applications and Sage 100. Straight from the leader in Sage 100 Integration, TEKOA introduces a seamlessly integrated Web Commerce Suite for Sage 100. 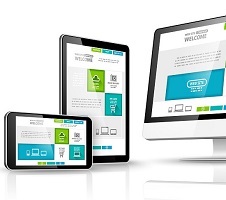 B2B Web Portals, B2C eCommerce and Online Payment Gateways. 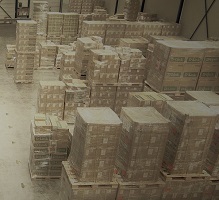 Barcode scanning warehouse management is known for increasing the efficiency and accuracy of inventory transactions. Giving warehouse staff the ability to inquire and process inventory using barcodes and handheld devices means less margin for error and streamlines procedures. TEKOA Cloud is a certified, private data center specializing in hosting Sage 100 for a wide variety of businesses and industries. The Remote Desktop Solution for Sage 100 puts the familiar Sage 100 software in a dedicated, private and highly secured technology infrastructure and gives users the ability to access Sage 100 and work in a familiar Windows environment, from virtually any location. Thank you for submitting a contact request. TEKOA will contact you shortly.